President Ram Nath Kovind today conferred the Padma awards on prominent personalities at a civil investiture ceremony in Rashtrapati Bhawan. 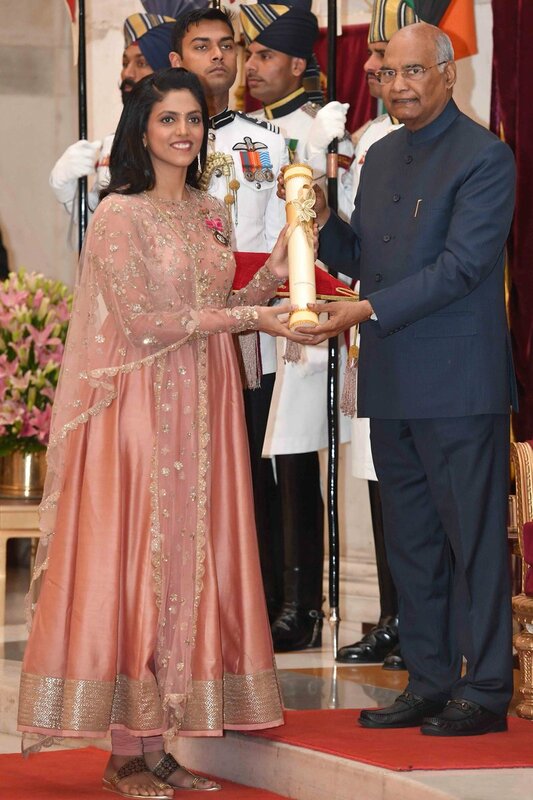 Padma Bhusan was presented to Malayalam Actor Mohanlal, South African politician Pravin Gordhan, former Cisco head Jhon Chambers, Parliamentarians Hukumdev Narayan Yadav, Kariya Munda and Sukhdev Singh Dhindsa and late journalist Kuldip Nayar. Padma Shri was conferred on various personalities including Chess player Harika Dronavalli, Table Tennis player Sharat Kamal, Social Workers Bhagirati Devi and Muktaben Dagli, Actor Prabhudeva, Music Director Shankar Mahadevan, former civil servant S Jaishankar, Agriculturist Rajkumari Devi and Babaulal Dahiya, Archaeologist Dilip Chakravarty and Hematologist Mammen Chandy. This year, 112 personalities were selected for the Padma awards, which was announced on the eve of Republic Day. The remaining awardees are likely to be conferred the honour at another function to be held later this month. Prime Minister Narendra Modi, Union Ministers Rajnath Singh, Arun Jaitley and others were present on the occasion.